The West Mims Wildfire was reported on April 6, 2017, approximately 2.5 miles NE of Eddy Fire Tower in Okefenokee NWR or 16 miles East of Fargo, Georgia. There are 349 personnel assigned to this incident along with 1 crew, 24 engines and 3 helicopters. 152,515 acres (no change) of Southern Rough and timber have been burned but a 65% containment status has been achieved. No changes. Road, area and trail closures in effect. 4 structures have been lost. Fire Managers are not expecting containment of this fire until November 1, 2017. Burn bans have been issued for Baker County in Florida and Brantley, Charlton and Ware Counties in Georgia. The cost-to-date for Fire suppression and containment has reached a total of $46.7 Million. There are 394 personnel along with one crew, 32 engines and 5 helicopters. 152,515 acres (no change) of Southern Rough and timber have been burned but a 65% containment status has been achieved. Numerous structures threatened. Road, area and trail closures in effect. The cost-to-date for Fire suppression and containment has reached a total (Correction) $46.1 Million. Command is Southern States Type 1 IMT and Atlanta based NIMO (National Incident Management Organization) in cooperation with GA Forestry Commission, US Fish and Wildlife Service, GOAL (Greater Okefenokee Assoc of Landowners), USFS and FL Forestry. There are 489 total personnel along with 6 helicopters, 1 fixed wing Aircraft, 1 MMAS aircraft, 48 wildland fire engines, 38 bulldozers and 1 hand crew. There is minimal fire behavior with creeping and smoldering. Rain fell over the area on Saturday, June 3, 2017. Fire strikes occurred on W side of Okefenokee Swamp, SE of Antioch Church Rd, FFs to hike in and check. NW side suppression repair advanced 2 mi along W side of Hwy 177 near Stephen C Foster State Park. South side of fire near Blitch Road, sprinklers have now turned off. Engine crews/heavy-equipment operators to return to salvage logging sites in S and SE portion of fire to resume burying or tearing down/mopping up at at rate of 40-80 per day smoldering slash piles. Numerous structures threatened. Road, area and trail closures in effect. 4 structures have been lost. The cost-to-date for Fire suppression and containment has reached a total of $445.2 Million. A wildfire was sparked by a lightning spark on May 6, 2017, around 1700 hours. The wildfire is located seven (7) miles East of Fargo, Georgia burning in the Okefenokee National Wildfire Refuge. There are about 508 fire personnel assigned to this incident. The fire behavior is currently minimal, smoldering, creeping as a slow-moving surface fire and reburning in places. Fire has burned 152,515 acres. There is currently a 65% containment status. This incident is currently in Fire Modules 2, 4, 7, 9, 12 and 13. A lightning-strike fire was detected by MMA south of Honey Island on the north side of the fire. A fire was ignited by another lightning strike south of Strange Island on the west side. A larger fire started by a lightning struck just SW of Folkston near Sardis and Royal Petty Roads. Two engines and two dozers were sent from the east side of the fire from Staging located from the Refuge’s Headquarters. Three acres of young pine was burned. Fire lines were constructed along with installation of a fire hose line and pumps. Mop-up operations were still in effect at the time of this post. Thank you for reading our post and following us! We appreciate every single one of you all on this Friday evening. (1) MAFFS C-130 air tanker and support personnel each from the 153rd Airlift Wing, (Wyoming Air National Guard) and the 302nd Airlift Wing, (Colorado Springs, Air Force Reserve) have been deployed to Boise, ID in support of wildland fire operations. (1) Convair 580 airtanker group from British Columbia has been deployed to Billings, MT in support of wildland fire operations. NEW | 88 Fire (MT): 485 acres. 100% contained. 9 personnel. 4 engines. $25,000 CTD. County lands. Broad Mouth (UT): Bear River Area, Utah DOF. 15 miles NW of Tremonton. Chaparral and tall grass. Active fire behavior with spotting and running. Structures threatened. Sage-grouse habitat threatened. 15,000 acres. 30% contained. 3 crews. 17 engines. 129 personnel. $10,000 CTD. 3 structures lost. 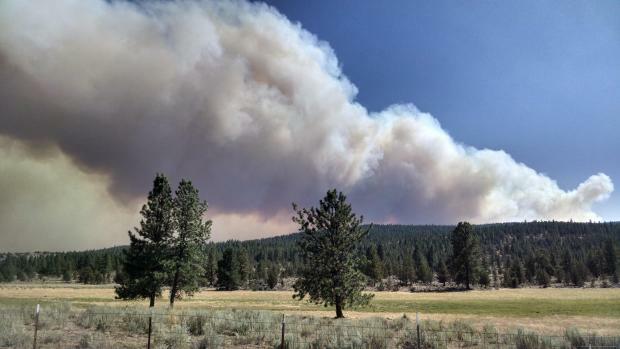 Pioneer Fire (ID): Boise NF. IMT 1 (Lund). 5 miles North of Idaho City. Timber. Active fire behavior with group torching, spotting and running. Structures threatened. Road, area and trail closures in effect. 50,478 acres. 27% contained. 43 crews. 52 engines. 10 copters. $21M CTD. 1489 personnel. 5 structures lost. Thank you for reading our Wildfires in the United States. We hope you’ll also join us on our Facebook page and on Twitter ( @nwfireblog ). Thank you for reading our post and following us! We appreciate every single of you all. 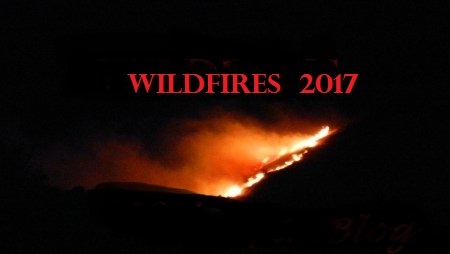 We have been posting many 2016 wildfires and you can easily see they seem to be popping up everywhere, prompting both structure firefighters to respond on strike teams to wildland firefighters working extremely hard to suppress. Here is the most up-to-date list of wildfires for all States excluding Northwest fires (Washington & Oregon). Thank you for joining us on our search and reporting of Wildfires. We are now back to putting them all in one post, excluding fires from the Northwest. This is a separate listing of fires. 99 Fire (CA): Off Hwy 99 / Neal Rd. South of Chico. 550 acres. 100% contained 8/2/2016. Baker Fire (CA): Off of Baker Rd / Plymire Rd, 2 miles NW of Red Bluff. NW Tehama County. 80 acres. 10% containment. Forward spread stopped. Beaver Creek Fire (CO): Routt NF. NIMO (Quesinberry). 24 miles NW of Walden, CO. Timber and brush. Active fire behavior with crowing, group torching and short-range spotting. Numerous structures threatened. Evacuations, road, area and trail closures in effect. 34,090 acres. 18% contained. 241 personnel. 4 crews. 23 engines. 5 copters and 2 dozers. 17 structures lost. $16.3M CTD. Forest Service lands. Blue Lake Fire (MT): DNRC. Started on BLM land 10 miles southwest of Ennis, MT. Timber and brush. Moderate fire behavior with torching, creeping and smoldering. Residences and sage grouse habitat threatened. 629 acres. 45% contained. 91 personnel. 2 crews. 2 engines. 1 copter. 0 structures lost. $200,000 CTD. Cedar Fire (ID): Nex Perce-Cleanwater NF. 11 miles south of the Powell Ranger Station; 2 miles northwest of Elk Summit. Started 7/17/12016 by lightning. 1,371 acres. 0% contained. Active fire behavior last night. Cliff Creek Fire (WY): Bridger-Teton NF. Transfer of command from IMT 2 (DeMasters) to IMT 2 (Bird) occurred yesterday.15 miles East of Hoback,.Timber. Moderate fire behavior with group torching, short-range spotting and smoldering. Structures threatened. Evacuations, road, area and trail closures in effect. 29,677 acres. 84% contained. 418 personnel. 10 crews. 5 engines. 7 helicopters. 1 structure lost. $11.7M CTD. Cold Fire (CA): Off Hwy 128 / W of Pheasants Valley Rd / W of Winters in Yolo County. 4600 ac. 10% contained. 700 personnel. 86 engines. 6 air tankers. 8 copters. 9 bulldozers. 5 water tenders. Though favorable weather conditions, the fire is still spreading. Incident Cooperators: Napa Co FD, Winters FPD, Dixon FPD, Vacaville FPD, North Bay IMT, CHP and Sheriff Offices from Napa Co, Solano Co and Yolo Co.
Comet Fire (ID): Salmon-Challis NF. 13 miles North of Salmon. Timber and short grass. Minimal fire behavior. Area closure have been lifted. 358 acres. 90% contained. 9 personnel. $1.1M CTD. Copper King Fire (MT): Lolo NF. 1,286 acres. IMT 2 (Thompson). 7 miles East of Thompson Falls, MT. Timber. Moderate fire behavior with single tree and group torching. Residences threatened. Road, area and trail closures in effect. 0% contained. 275 personnel. 5 crews. 10 engines. 7 engines. 0 structures lost. $600,000 CTD. Cuermo Fire (NM): 10 miles SW of Abiquiu / 13 miles SE of Coyote on Coyote Ranger District. Started 8/1/2016. In monitor status. Diablo Fire (CA): SW of Patterson in Steniasuls County. 200 acres. 65% contained. Eden Fire (AZ): Cococino NF. Started 7/27/2016 by lightning. 4 miles of Clints Well, north of SR 87. 15 personnel. Type 4 IMT. 500 acres. Elk Fire (AZ): Apache – Sitgreaves NFS. 1,887 acres. 5 miles NW of Pinetop. 4 personnel. 100% contained. Fire behavior is moderate, flanking and backing. Fuller Fire (AZ): Grand Canyon National Park. 14,541 acres. North Rim of Grand Canyon National Park, near Point Imperial. 139 personnel. Unknown containment status. Goose Fire (CA): Fresno Co. Off of Gooseberry Lane / Morgan Canyon, South of Prather. 2,241 acres. 70% contained. 400 structures threatened. 9 destroyed (4 homes/5 outbuildings). Evacuations warnings/Road closures in effect. 81 engines, 3 air tankers, 6 copters, 4 dozers, 21 water tenders, 1,657 personnel. Fire behavior is smoldering, creeping in isolated areas. Mop-up operations and improvement of containment lines in progress. Hayden Pass Fire (CO): 16,559 acres. 20 miles SE of Salida. 60 personnel. 60% contained. Hinson Fire (GA): Georgia Forestry Commission.9 miles SE of Homerville. Medium logging slash and southern rough. Minimal fire behavior. 161 acres. 98% contained. 10 personnel. 2 engines. $35,000 CTD. Imperial Fire (AZ): Imperial National Wildlife Refuge. FWS. 14 miles North of Yuma. Brush, hardwood litter and tall grass. Minimal fire behavior. 100 acres. 20% contained. 2 crews. 4 engines. 1 copter. $150,000 CTD. Lava Mountain Fire (WY): Shoshone NF. 14,385 acres. Shoshone NF. IMT 1 (Martin). 20 miles NW of Dubois, WY. Timber, heavy logging slash and short grass. Minimal fire behavior with isolated torching. Numerous structures threatened. Evacuations have been lifted. Road, area and trail closures in effect. 14,385 acres. 60% contained. 712 personnel. 12 crews. 46 engines. 9 copters. $15.3M CTD. Forest Service lands. Lone Fire (NV): Ely District. 832 acres. Lower Ebbs Fire (UT): Fishlake NF. 3.5 miles SW of Scipio, Utah and has burned approximately 5,634 acres. The fire is burning in Ebbs and Wild Goose Canyons. 100% contained. North Tullock Fire (MT): MT DNR. 2,720 acres. 20 miles SE of Custer. Timber and tall grass. Active fire behavior with group torching, flanking and running. Residences threatened. Sage grouse habitat threatened. 20% contained. 175 personnel. 2 crews. 27 engines. 4 copters. 0 structures lost. $300,000 CTD. County lands. Pearson #2 Fire (NM): Carlsbad Field Office, BLM. 20 miles SW of Hobbs, NM. Brush and tall grass. Active fire behavior with running. 900 acres. 90% contained. 23 personnel. 9 engines. $15,000 CTD. Pioneer Fire (ID): Boise NF. IMT 1 (Lund). 5 miles North of Idaho City. Timber. Active fire behavior with group torching, spotting and running. Structures threatened. Road, area and trail closures in effect. Forest Service land. 48,350 acres. 36% contained. 1,497 personnel. 44 crews. 48 engines. 10 copters. 5 structures. $16.7M CTD. Poodle Fire (NV): Winnemucca District, BLM. 20 miles NW of Gerlach. Timber and brush. Minimal fire behavior with isolated torching. Sage grouse habitat threatened. 80% contained. 6,557 acres. 411 personnel. 15 crews. 10 engines. 4 copters. 0 structure lost. $1.3M CTD. Roaring Lion Fire (MT): Bitterroot NF. IMT 1 (Poncin). 5 miles SW of Hamilton. Timber. Active fire behavior with group torching, short-range spotting and short crown runs. Numerous structures threatened. Evacuations, road, trail and area closures in effect. 7,130 acres. 0% contained. 524 personnel. 10 crews. 33 engines. 9 copters. 64 structures lost. $610,000 CTD. Sand Fire (CA): NB 14 Freeway / Sand Canyon in Santa Clarita. Angeles NF. Start 7/22/2016 @ 1411 hours. 1718 Firefighters. 41,432 acres. Sawmill Creek Fire (WY): Wyoming State Forestry. 28 acres. Approximately 35 road or 20 air miles from Douglas. The fire is located on private land.. 76 personnel. 50% contained. Incident management will transition from the Southern Idaho Type 3 Incident Management Team to Linda Austin IC at 0600 August 4, 2016. Sheep Creek Fire (UT): Uinta/Wasatch-Cache NF. 30 miles East of Spanish Fork. Timber, brush and tall grass. Active fire behavior with spotting and short crown runs. 600 acres. 5% contained. 160 personnel. 5 crews. 2 engines. 4 helicopters. 0 structures lost. $250,000 CTD. near Soberanes Creek. . Evacuations in effect/ some lifted in other areas. Donation Center: @ Big Sur State Park Multi-Agency Bldg, 47555 Hwy1, Big Sur, CA 93920. Montereyco.recovers.org. Phone #831-667-2315. Register for Reverse 911 up to 3 phone lines by going to their website @ http://www.co.monterey.ca.us/oes. 108 crews. 17 copters. 6 air tankers. 69 dozers. 54 water tenders. 5,555 personnel. Incident Cooperators: USFS, CA State Parks & Rec, CHP, Monterey County Sheriff Office, Monterey Penn Regional Parks District, Red Cross, CA Conservation Corps, CAL-OES, CA Fish & Wildlife, Carmel Highaldns FPD, Monterey Co FPD, Big Sur VF Brigade, CSUMB, SPCA, United Way and PG & E.
Unified Command w/CAL Fire – San Benito Monterey, USFS and Los Padres NF. Tokewanna Fire (WY): Kemmerer Field Office. 1,313 acres. Unita County. IMT 2 (Greer). 15 miles South of Mountain View. Timber, brush and short grass. Minimal fire behavior with isolated torching. Structures threatened. Evacuations, road, area and trail closures in effect. Sage grouse habitat threatened. 58% contained. 497 personnel. 15 crews. 17 engines. 7 copters. 8 structures lost. $2.9M CTD. County lands. Tribal Fire (UT) : Salt Lake Field Office, BLM. 25 miles SW of Tooele.. Grass. Active fire behavior with running. Structures threatened. 650 acres. 25% contained. 31 personnel. 5 engines. 1 copter. $50,000 CTD. Virginia Mountains Complex (NV): (2 fires), Carson City District Office, BLM. IMT 2 (Roide). 40 miles N of Reno. Brush and short grass. Extreme fire behavior with wind-driven and flanking. Structures threatened. Evacuations in effect. Sage grouse habitat threatened. 59,727 acres. 68% contained. 700 personnel. 20 crews. 29 engines. 7 copters. 12 structures lost. $4.6M CTD. WF Unit 3 2016 Fire (TX): McFaddin National Wildlife Refuge, FWS. 17 miles of Winnie, TX. Tall grass. Active fire behavior. 161 acres. 98% contained. 12 personnel. 1 copter. $20,000 CTD. Whit Fire (WY): Wyoming State Forestry. 3,000 acres. 20 miles west of Cody. Wild 7 Fire (MT): Charles M. Russell National Wildlife Refuge, FWS. 23 miles SE of Zortman, MT. Timber and short grass. Moderate fire behavior. 300 acres. 0% contained. 11 personnel. 2 engines. $75,000 CTD. Wilson MA Fire (MT) Central Land Office, DNRC. Started on county land 17 miles North of Wolf Creek. Short grass. Active fire behavior with wind-driven runs. 500 acres. 0% contained. Zero personnel and/or resources assigned to this fire. $50,000 CTD. #HookCreekFire (AK) Hook Creek, Southwest Area Forestry, DOF. Forty miles southwest of Lime Village, AK. Timber. Active fire behavior with torching, flanking and backing. Structures threatened. Precipitation occurred over the fire area yesterday. 5,59 acres. 0% contained. 0 personnel or resources on fire. $21,000 CTD. State lands. #McHughFire (AK) Mat-Su Area Forestry, DOF. IMT 2 (Kurth). Started on BLM land 2 miles SE of Anchorage. Medium logging slash. Extreme fire behavior with group torching, short crown runs and spotting. Residences threatened. Road and trail closures in effect. 350 acres. 5% contained. 147 personnel. 3 crews. 16 engines. 4 helicopters. $875,000 CTD. BLM lands. #MM14 (ID). Highway 21, Boise District, BLM. Started on county land 3 miles East of Boise. Brush and short grass. Active fire behavior with running, flanking and backing. Numerous residences threatened. Road closure in effect. 1,500 acres. 10% contained. 171 personnel. 4 crews. 10 engines. 2 helicopters. 2 structures lost. $500,000 CTD. County land. #OdellFire (MT). BLM. 370 acres. 10% contained. 28 personnel. 4 engines. $63,000 CTD. #PioneerFire (ID) Boise NF. IMT 2 (Rosenthal). 5 miles North of Idaho City, ID. Timber and grass. Moderate fire behavior with isolated torching and short uphill runs. Structures threatened. Road closure in effect. 350 acres. 0% contained. 200 personnel. 7 crews. 1 engine. 2 helicopters. $325,000 CTD. Forest Service lands. #Pitmik RiverFire. Southwest Area Forestry, DOF. 15 miles South of Pilot Station. Short grass. Minimal fire behavior. 1,002 acres. 0% contained. 0 personnel or resources on incident. State lands. #ShawFire. (AK) Socorro Field Office, BLM. 30 miles South of Datil, NM. Brush and short grass. Moderate fire behavior with uphill runs and backing. Last report unless significant activity occurs. 1,200 acres. 0% contained. 14 personnel. 4 engines. $10,000 CTD. BLM lands. #SodaCreekFire (AK), Southwest Area Forestry, DOF. Started on native corporation land 27 miles NE of Medfra. Timber. Moderate fire behavior with torching, flanking and creeping. Precipitation occurred over the fire area yesterday. 149 acres. 0% contained. 0 personnel/resources on this wildfire. $14,000 CTD. State lands. #SpringFire (CA). 174 acres. 89% contained. 138 personnel. 5 crew. 1 engine. 1 helo. $425,000 CTD. #TaylorFire (FL) 880 acres. 80% contained. 15 personnel. 2 engines. 1 helo. $211,000 CTD. Forest Service lands. #TokRiverFire (AK). 731 acres. 56% contained. 145 personnel. 5 crew. 2 helos. $662,000 CTD. #WallyFire (NV). 1,762 acres. 100% contained. 100 personnel. 3 crews. 2 engines. 1 helos. $523,000 CTD. #ArdenFire (WY) Big Horn NF. About 35 miles East of Greybull, Wyoming, near Shell Reservoir and Lake Adelaide 350 acres. 0% contained. Heavy timber. ICT3. (4) 20-person Hotshot crews, (2) 20-person handcrews. 5 engines. 2 helicopters and (1) AA. #BeaverCreekFire (CO) – Routt NF. 24 mi NW of Walden. Timber and brush. …Start 6/19/2016. Cause unknown and under investigation. 25,434 acres. 275 Firefighters. 2 crews, 23 engines, 1 dozer and 2 helicopters. #ChokeCherryFire (UT) Salt Lake Field Office, BLM. 10 miles SE of Ibapah. Timber and grass…. 1,554 acres. 20 % contained. 185 personnel. 5 crews. 8 engines. 3 helos. $300,000 CTD. #CliffCreekFire (WY) Great Basin Team 7, Incident Commander Tony DeMasters has assumed Command. 15 miles E of Hoback. . Timber. Active fire behavior with wind-driven runs. Residences threatened. Road and area closures in effect…. 6,900 acres. 0% contained. 436 personnel. 15 crews. 7 engines. 4 helicopters. 1 structure lost. $600,000 CTD. Granite Creek drainage on the Cliff Creek Fire (Courtesy: Inciweb). #FeatherFire (CA) Off of El Capitan Truck Trail. South of Ramona (San Diego County). CAL Fire…. 100 acres. 100% contained. #FleckFire (ID) Sawtooth NF. 18 miles north of Fairfield. Timber and grass…. 205 acres. 100% contained. 44 personnel. 1 crew. 2 engines. 1 helo. $300,000 CTD. #FoothillFire (CA) CAL Fire. Off Foothill Drive, community of Lucerne. Lake County…69 acres. 90% contained. #FullerFire (AZ) – Grand Canyon National Park. IMT 2. 4 miles NE of North Rim. Timber and medium logging slash. National Park lands….14,131 acres. 5% contained. 572 personnel. 14 crews. 15 engines. 5 helos. $4,500,000 CTD. 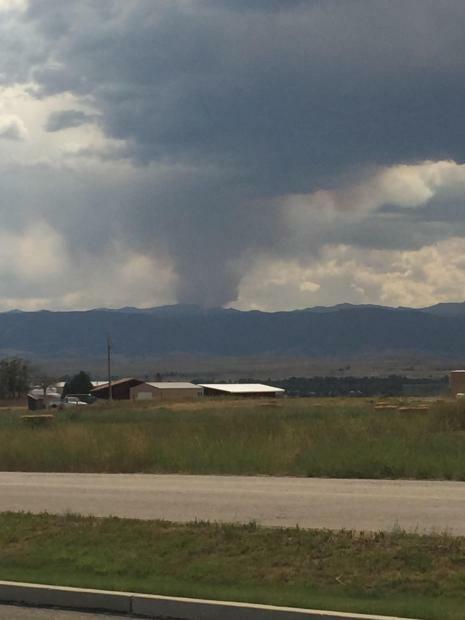 #HaydenPassFire (CO) – Fort Carson Army Base. Rocky Mtn Blue Team IMT. Started 7/8/2016. 21 mi SW of Colorado Springs. 20 miles SE of Salida. Hardwood slash, brush and tall grass…16,414 acres. 45% contained. 748 personnel. 18 crews. 27 engines. 7 helicopters. 1 structure lost. $6,700,000 CTD. #IndianCanyonFire (SD) South Dakota Wildland Fire Suppression, DOF. 6 miles SE of Edgemont. Timber and short grass. Minimal fire behavior. Numerous structures threatened. Evacuations and road closures have been lifted… 14,280 acres. 85% contained. 171 personnel. 4 crews. 23 engines. 1 helicopter. 2 structures lost. $1,500,000 CTD. #LavaMtnFire (WY) Shoshone NF. IMT 2 (Connell). 20 miles NW of Dubois. Timber and heavy logging slash. Moderate fire behavior with single tree torching, short-range spotting and creeping. Numerous structures threatened… 550 acres. 0% contained. 261 personnel. 6 crew. 8 engines. 5 helicopters. 0 structures lost. $1,000,000 CTD. #RockFire (NE), Nebraska NF. Fifteen miles southeast of Ardmore, NE. Tall grass. Minimal fire behavior….367 acres. 99% contained. 3 personnel. 1 engine. $7,000 CTD. #SteamboatCreekFire (AK) Valdez-Copper River Area Forestry, DOF. Started on NPS land 14 miles southwest of McCarthy. Medium logging slash, brush and tall grass…. 12,263 acres. 0% contained. 0 personnel or resources. $Unknown CTD. Sources: NW Fire Info, CAL Fire, Inciweb, NWICC,, AK Wildfires, NIFC, Twitter and Facebook. Sources: NW Fire Info, CAL Fire, Inciweb, NWICC,, AK Wildfires, NM Fire Info, BLM Alaska, AZ Fire Info, NIFC, Twitter and Facebook.